This little Tea Robot is fueling my robot obsession: It’s a tea egg in the shape of a robot. Made me chuckle. It is very very very beautiful!!! Dalek mug! Want, want, want! 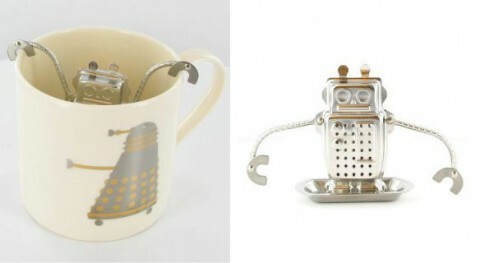 The robot tea egg is cool, but I’m even more in love with the Dalek mug! Where can I get one? Yep, I agree about the Dalek mug. If you find that somewhere, please do post!! This is awesome…it looks great!